Heroes of the Lance is an RPG for the Sega Master System based on the Dungeons and Dragons franchise. Main article: Heroes of the Lance/Magazine articles. 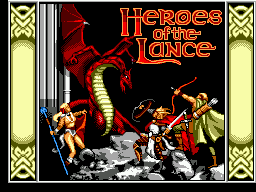 NEC Retro has more information related to Heroes of the Lance.